Welcome to the 2016 edition of the Cal Poly Agribusiness Department newsletter. I was hired to lead the Agribusiness Department (AGB) in July 2015. I bring three decades of experience in agricultural economics and business. As ASI President, agribusiness senior Owen Schwaegerle’s goal is to fulfill the promises he made to students when running his campaign, which focused on student fees, student safety, school spirit, and helping students find their anchor. Two new Agribusiness faculty joined the department this fall: Christina Connolly and Tim Delbridge. Cal Poly's College of Agriculture, Food and Environmental Sciences has been ranked one of the top four colleges of agriculture in the nation by Campus Explorer, a website that assists more than 30 million students a year with college planning. 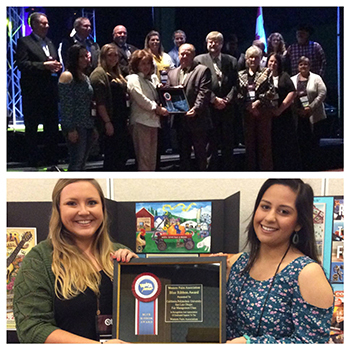 The Western Fairs Association, a nonprofit trade association serving the fair industry throughout the U.S. and Canada, recognized the Cal Poly Agribusiness Department Fair Program for 50 years of service to the industry. A big thank you to lecturer Jacky Eshelby for so many years of hard work. 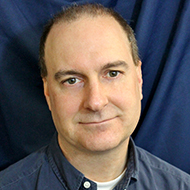 This quarter, Agribusiness Professor Michael McCullough is teaching two department courses abroad in Australia. AGB students are spending seven weeks studying in Adelaide, Australia, touring local wineries, visiting Kangaroo Island, exploring a national wildlife park, and experiencing beach life in South Australia. 2016 was another successful year for the annual Ag Showcase. Ag Showcase gives students the opportunity to directly communicate and network with company representatives from a wide range of fields in the industry. Ag Showcase not only provides Cal Poly students with opportunities for internships and careers, but also allows companies to showcase their company and meet with potential employees. Each year we look forward to welcoming back a number of successful alumni. We extend a huge thank you to our industry partners and the ABM/NAMA Club for a great event. Agribusiness Professor Tim Delbridge recently presented a paper at the Organic Agriculture Research Symposium and EcoFarm Conference in Monterey, Calif. The research analyzed the production and financial performance of crop and dairy farms as they transition from conventional to organic management. The project was one of the first to directly explore the farm level performance of transitioning farms and is intended to shed light on the costs and barriers faced by those considering adoption of an organic system. 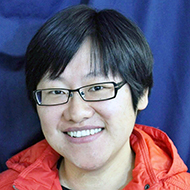 Professor Xiaowei Cai’s research is focused on food safety and diet quality, commodity margin analysis, and risk management. Cai is actively seeking research grants from the National Bureau of Economic Research, the United States Department of Agriculture and the Agricultural Research Institute. Lecturer Chris Wright has been involved with the StrengthsQuest Training on campus. StrengthsQuest is the academic version of StrengthsFinder. It was first introduced to freshmen in fall 2016 and the training is now open to all staff and faculty. Wright received a certificate as a strengths mentor and she strongly urges all other staff and faculty to get involved. "It will help them personally and we will all become great assets to our students," she said. Agribusiness students now have a new option available to them when deciding to pursue a career in accounting. 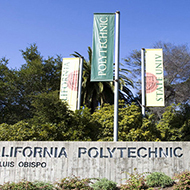 Cal Poly's Orfalea College of Business recently announced a new minor in accounting. This program was developed in cooperation with the Agribusiness (AGB) Department, and creates a path for College of Agriculture, Food and Environmental Sciences students to easily register for the advanced accounting courses not offered within the AGB Department. "Students who earn a minor in accounting are much more attractive to graduate programs and to a wide range of employers," said AGB Lecturer Erik Slayter. "A Cal Poly student with an undergraduate degree in agribusiness, a minor in accounting and a master’s degree in accounting will be a highly desirable candidate for future industry jobs." 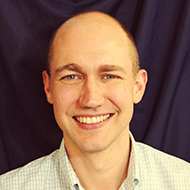 Professor Sean Hurley is in the midst of three research projects. The first is a project that examines nitrogen leaching in strawberry plants when vermicompost is applied as a soil amendment. Vermicompost is the product or process of composting using various worms to create a heterogeneous mixture of decomposing vegetable or food waste, bedding materials, and vermicast. This project is also examining whether strawberries grow better in vermicompost. This work is being conducted with faculty from Cal Poly's Natural Resources Management and Environmental Sciences Department and the Biology Department. Meet Jasmine Singh, Haley Seeger and Seth Borges, three of AGB's hard-working seniors. Agribusiness Professor Richard Volpe attended the National Grocers Association (NGA) annual meeting in Las Vegas from Feb. 27 to March 2, alongside four agribusiness students. Cal Poly is one of the newest members of the Food Industry University Coalition (FIUC), a group of universities across the U.S. with programs emphasizing the preparation of undergrads for careers in food retail and supply chain management. Noel earned a doctorate degree in agricultural economics in 1979 from the University of California, Davis. He has worked as a natural resource and agricultural economics consultant, the chief operating officer for a California rice marketing cooperative and served as a professor and chair of the Cal Poly Agribusiness Department. He is also a past director of the California Institute for the Study of Specialty Crops at Cal Poly.